Grandstream brings forward its next model UCM6116 in the Grandstream UCM 6100 series. 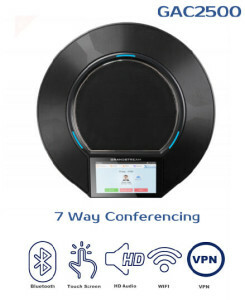 It is similar in features to some of the other phone system of the same series but is capable of leading the industry with its excellent features, efficient functionalities, and updated applications.The UCM6116 IP PBX is a full-featured, easy-to-manage IP PBX Appliance designed to bring enterprise-grade features to small-and-medium sized businesses (SMBs) without the need for licensing fees, costs per feature, or any recurring costs.The UCM6116 pbx system is a full-featured, easy-to-manage IP PBX Appliance designed to bring enterprise-grade features to small-and-medium sized businesses (SMBs) without the need for licensing fees, costs per feature, or any recurring costs.UCM 6116 VoIP SIP PBX support for up to 60 concurrent calls, 32 conference participants,16 x FXO ports and 2 x FXS ports. Built-in IVR to function support 5-layer auto attendant. The Grandstream UCM6116 appliance can also record calls for later playback. This affordable PBX is also interoperable with video surveillance systems, giving the user an all-encompassing IP solution. 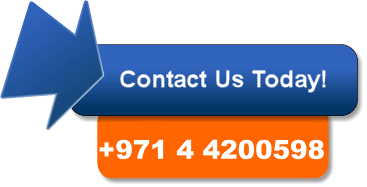 Grandstream Dubai is an authorized reseller of Grandstream. You can easily buy your desired Grandstream product from Grandstream Dubai. We offer you Grandstream UCM 6116 IP PBX Dubai telephone system at extremely affordable rates and assure you of its high-quality performance. We offer our installation and products sales and services in different parts of U.A.E like Dubai , Ras Al Khaimah, Umm Al Quwain, Ajman, Al Ain, Sharjah and Abu Dhabi. 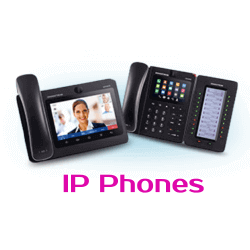 The IP PBX series of Grandstream has offered the customers with a widespread range of unified communications and such IP PBX telephone systems that can be easily managed. 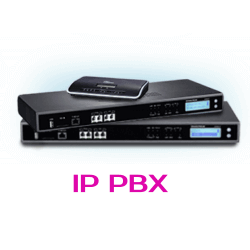 Grandstream PBX SYSTEM doesn’t come with any upgrade cost or fees and neither it has any licensing fees. To facilitate the medium and small businesses, UCM 6100 series have been introduced by Grandstream that can support almost 500 SIP users. You must choose Grandstream PBX System for your business as it would really prove to be vital in increasing the communication experience of your staff and in turn will prove to be useful in increasing the productivity of the business. Thus, Grandstream telephone systems, with exclusive license free features pose the perfect and best possible communication solution to the businesses. If you want to build such an efficient unified communication channel for your business that can prove to be helpful in expanding your business productivity and reach. Grandstream has made it’s IP PBX appliance UCM 6116 easily manageable and has incorporated such amazing features in the phone system that fit perfectly well to the small and medium businesses and fulfill all of their requirements. It is having 2 FXS and 16 FXO. UCM 6116 is based upon the enhanced Asterisk engine. UCM 6116 includes mobility, voice, data and video features. Users and calls to manage at a time -> The GrandstreamUCM 6116 can support up to 60 concurrent calls and a maximum of 500 users. It also supports six conference bridges and the participants in a conference can increase up to the maximum amount of 32. Power over Ethernet source -> Grandstream UCM 6116 comes with a built- in Power over Ethernet source and along with the POE source, you will also be having a Giga-Bit network port for LAN / WAN. SIP trunk accounts -> The Grandstream UCM 6116 can handle 50 SIP trunk accounts at a moment, and it also provides you with certain features like call routing control, for fax and the analog phones it incorporates 2 FXS ports. For the POTS lines, there are 2 FXO ports in the UCM 6116 IP PBX telephone system. Memory feature -> Grandstream UCM 6116 IP PBX comes with a large memory of 4 GB, which is an onboard flash memory. Interoperability -> Grandstream UCM 6116 has wide interoperability features with many other SIP phones by Grandstream and many other SIP devices available on the market. Auto attendant -> There is an integrated IVR that can be programmed in order to work as an auto attendant comprising of 5- layers. You can also record calls with your Grandstream UCM 6116 so you can play them later on. A complete package of IP PBX solution -> Grandstream UCM 6116 is indeed a complete package that provides the users with a thorough and perfect IP PBX solution. It is available to you in extremely affordable and reasonable pricing and has a magnificent interoperability feature with the different video surveillance systems and SIP phones. Voice quality -> Grandstream UCM6116 IP PBX phone system has a perfect compatibility with the IAX protocol and supports all the major voice codecs. Grandstream is known for launching innovative, high quality and state of the art telecommunication solutions and products. Owing to the high-quality services and an international level standard, Grandstream was ISO 9001 certified. Grandstream has provided the users with a huge variety of perfect and best in class IP PBX, VOIP and video conferencing products and solutions. It is known for providing reliable and high-quality products. Today, the products of Grandstream are being used in about 150 countries from all over the world, and it is just because of the high quality and professional services that are incorporated in Grandstream products. Grandstream was introduced in 2002 and since then it has been introducing industry leading high quality, innovative and award-winning IP voice and video phone systems, video surveillance and video conferencing products. Grandstream has always provided the users with premium class and affordable services, and this is the reason it has been able to win the hearts of people.